"Hey, what's your name? My name is Lily," the sheep said to David. "You're a sheep and you are talking to me?" David was stunned and puzzled. "What are you talking about? Look at yourself! You are a sheep, too." Lily the sheep frowned as he asked David, "I'm asking for your name. Do you want to be my friend?" "Me, a sheep?" David paused for a while. He couldn't believe what he heard, "my… my name is David." He tried to keep his cool when he answered Lily. "David? That's my shepherd's name. 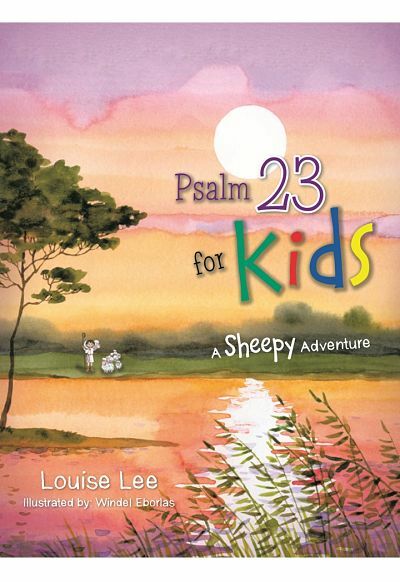 He is your shepherd, too," Lily the sheep said proudly. "Look! That's him!" Lily tilted his head and pointed at the man in front of the flock. "I see! Shepherd…he is someone who watches over us." David said. "Yes! That's right! I'm very proud of him. I'm very close to him, too." Lily lifted her head. "Can you hear that?" Lily the sheep said. "He is calling us. It's time for grass and water." "A place where we can lie down and rest. Let's go!" David started to move. He was a little uneasy because now he had four legs instead of two. As he struggled to follow, he lagged far behind the flock.